Worldwide compatibility: ALL-IN-ONE universal plug adapter with 4 kinds of plugs (US/EU/UK/AU), suitable for more than one hundred of countries. Comes with two 5V--1000mA USB ports. 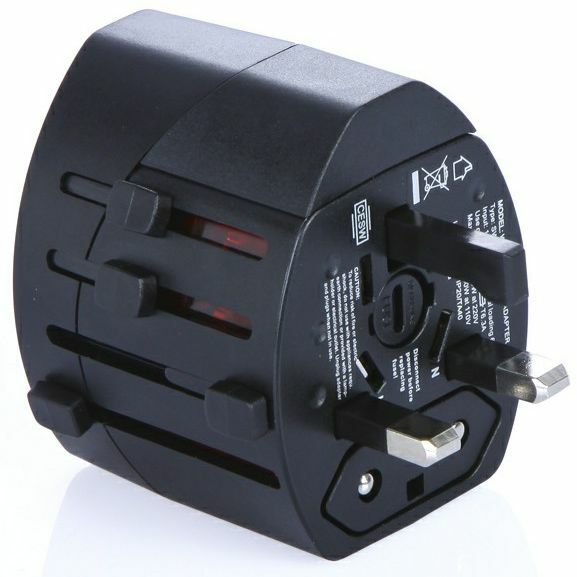 The USB charger can be used without the adapter in countries that use the standard US socket. Suitable for use with most 2-pole plugs, it is the safest way to plug in your portable, non-earthed devices. It can be used with a range of devices, including MP3 players, digital cameras, mobile phones, GPSs, travel speakers, etc.